Each year, in and around the Lee’s Summit area, the U.S. Commerce Association chooses only the best local businesses to be recognized as the “Best of Lee’s Summit”. The companies chosen exemplify the best of small business; often leading through customer service and community involvement. Nick Cutrera has received the 2014 Best of Lee’s Summit — Divorce Lawyer award.The Law Offices of Nick A. Cutrera, LLC is among a very small group of companies that have won the Best of Lee’s Summit Award in consecutive years. This distinction resulted in its earning the Lee’s Summit Business Hall of Fame distinction. 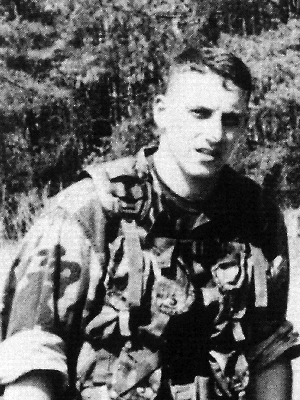 Nick A. Cutrera was awarded the Navy and Marine Corps Commendation Medal, one of the highest non-combat awards, for his service as a Marine Corps Judge Advocate.“For meritorious achievement in the superior performance of his duties while serving as Legal Assistance Attorney and Senior Defense Counsel, Joint Law Center, Marine Corps Air Station, Cherry Point, North Carolina from October 1994 to July 1997. As a Legal Assistance Attorney, he expertly advised hundreds of military members and their families in all areas of law.He further distinguished himself as a highly skilled and aggressive defense counsel and later as the Senior Defense counsel conducting over 60 courts-martial and 200 non-judicial punishment cases, thereby enhancing the fairness of and inspired confidence in the military justice system.